Photo taken at Kowloon Park. 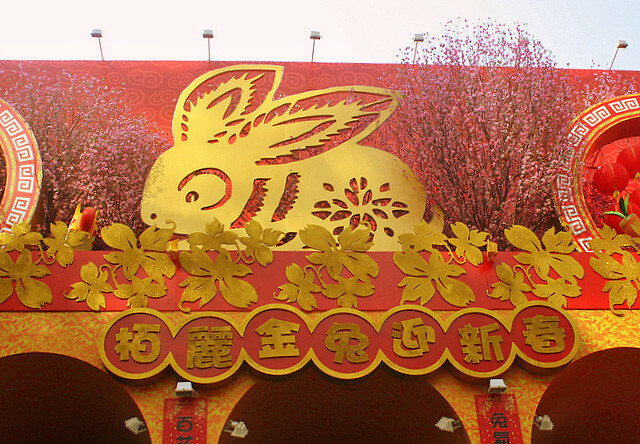 It's the year of the Golden Rabbit! May it bring bouncy vigour, abundant health, wealth and happiness to all. May your blessings multiply like rabbits! Those who are celebrating Chinese New Year - enjoy! There's no better time for feasting and cherishing family reunions. I am myself in Malaysia with the the whole family. Be back on Saturday! Let me share with you the cutest mandarin orange holder I have seen this year. 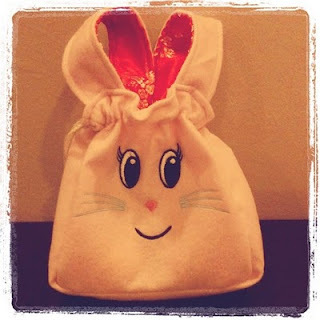 It's a drawstring felt bunny with silk ears as handles - adorably clever. Putien is giving this out to every table (min S$50 spend) at all its outlets.